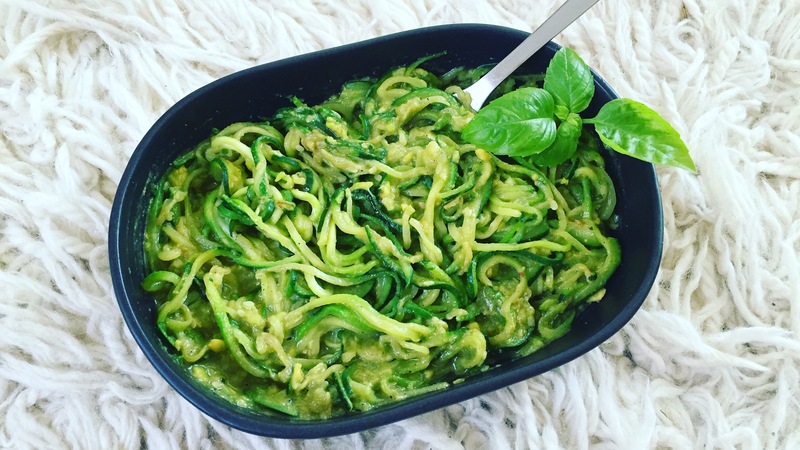 Zoodles, aka Zucchini Noodles, are my latest obsession! Its the healthy way to enjoy pasta without the heavy, bloated feeling many of us get after eating a big bowl of white, refinedpasta! 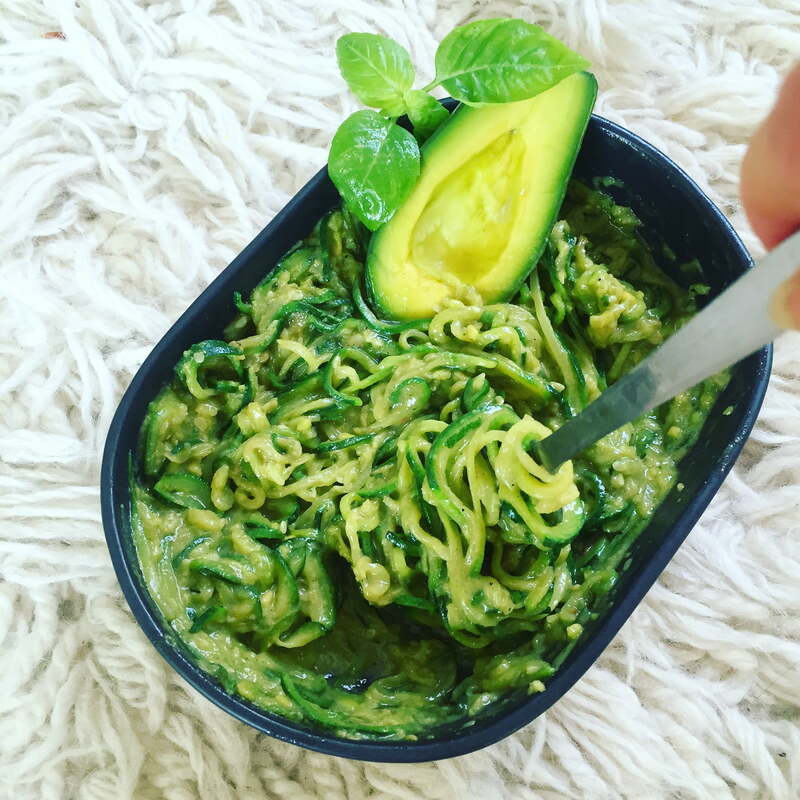 Zoodles are packed full of vitamins, minerals and fibre and this recipe has a delicious “creamy” sauce made using avocado instead of cream and butter! Winning! Oh and its vegan, dairy-free and gluten-free! Wash zucchinis & remove ends. 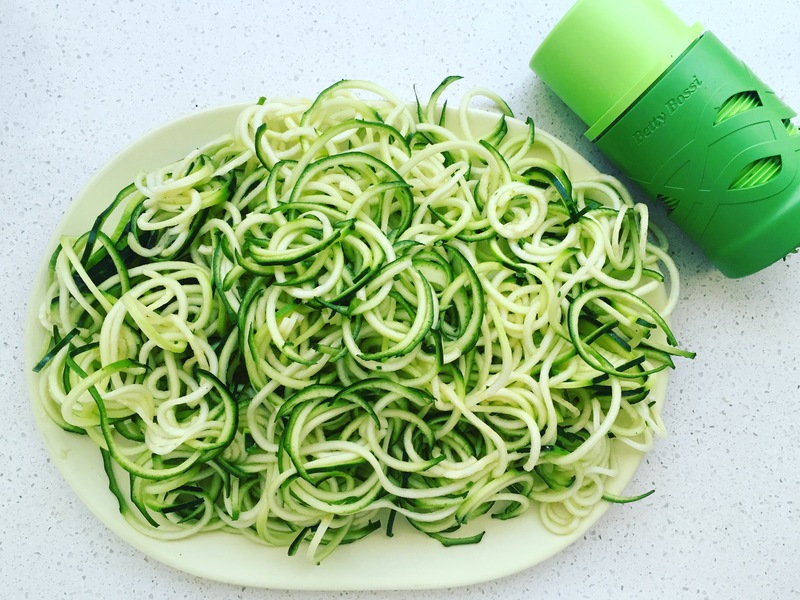 Using a Spiralizer (see the little green gadget in the pic…You can get one from most supermarkets or online), spiralize all the zucchinis & then cook on a non-stick fry pan (can use a dash of rice bran oil if needed) until softened. 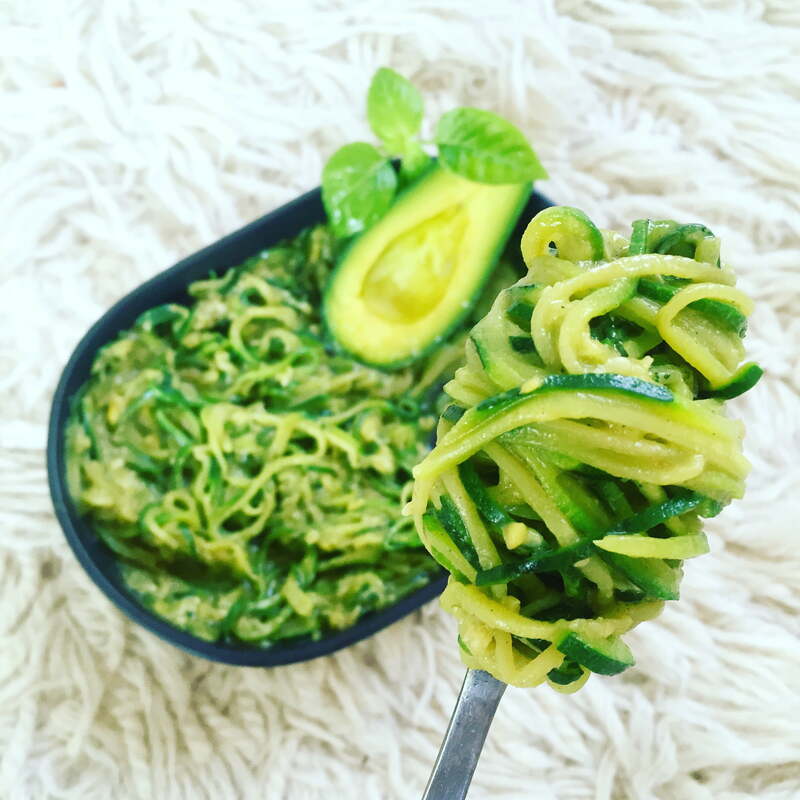 Stir creamy avocado sauce through cooked zucchini spirals & enjoy! **For an extra health boost, add some more veggies through you zoodles. I love adding pumpkin, opinion, tomatoes & mushrooms. Simply cook the veggies and stir through ready made zoodles. How many servings are there in this roughly? Thank you so much! I really hope you enjoy them, they are so delicious!